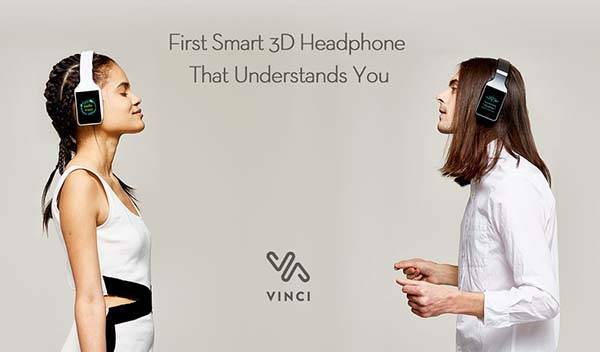 Using built-in voice recognition and artificial intelligence, Vinci 3D smart wireless headphones not only streams music, but also acts as a wearable assist in your head. Curious? Let’s continue checking. The Vinci is a versatile and advanced wireless headphones packed with many smart features. As we can see from the images, the on-ear headphones shows off a stylish and minimalistic design, and its curved headband and sharp lines delivers an eye-catching combination of classic headphone design and modern aesthetics. Meanwhile, four optional colors allow the headphones to match different senses of style, and its adjustable headband and cushioned earcups let you comfortably wear Vinci on your head. 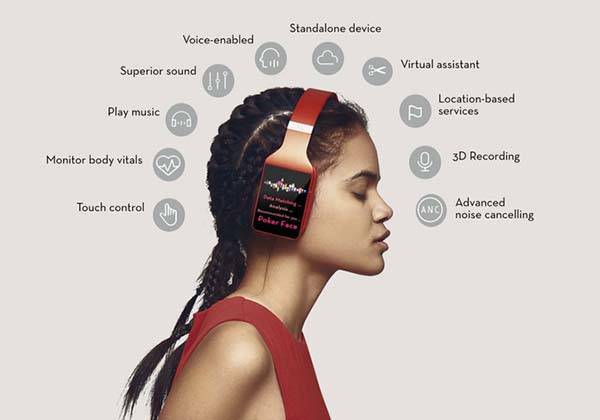 The wireless headphones comes equipped with two 40mm 32ohm drivers, and the Vinci features advanced 3D sound technology that uses the combination of accurate sound placement and integrated head tracking sensors in order to produce premium quality and immersive 3D audio. Built-in active noise cancelling lets you fully immerse in your favorite music, and its audio transparency mode lets you hear environmental noises for safe audio playback on the road. Using built-in WiFi and Bluetooth connectivity, the wireless headphones not only pair with your Bluetooth-enabled smartphone or tablet, but also allow you to seamlessly connect to your favorite platforms like Spotify, SoundCloud, Amazon Music and more, and its 16GB-32GB storage holds Android based Vinci Voice OS and your favorite songs. As a smart headphones, the Vinci is powered by ARM Cortex-A7 processor and comes equipped with multiple built-in sensors including an accelerometer, gyrometer, proximity sensor, optical heart rate sensor, GPS and compass, so it tracks your activities and heart rate when you listen to music during workout. Furthermore, using these sensors, the smart headphones sense and learn from your body vitals, activities, listening habits and preferences. Based on the data, Vinci delivers you real-time recommendations. Meanwhile, integrated voice recognition and artificial intelligence let you easily interact with your Vinci and control your music playback. The Vinci also features a 3.2-inch touchscreen that displays info from Vinci and delivers convenient control. When you put the headphones on your head, the Vinci autoplays music. Take them off and the music pauses automatically. In addition, its 1500mAh rechargeable battery offers 15 hours of audio playback, and Vinci Pro also features wireless charging technology. The crowdfunding campaign for Vinci is ongoing on Kickstarter. 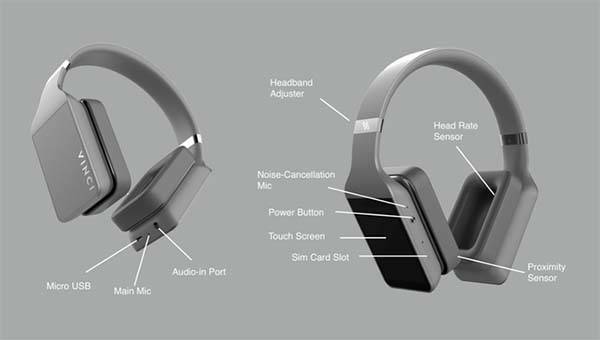 You can pledge $99 to preorder Vinci smart wireless headphones ($149 for Vinci Pro with active and smart noise cancelling). Both versions will be shipped in March 2017. Update: the headphones have been available on Amazon for $219 USD.